The Training+ App provides premium Combined Knowledge training, delivered in 1080p High Definition video format on demand to everyone in your organisation. Training+ is available for Microsoft SharePoint, Nintex Workflow and will be available for Microsoft Office products soon. Connect from anywhere! 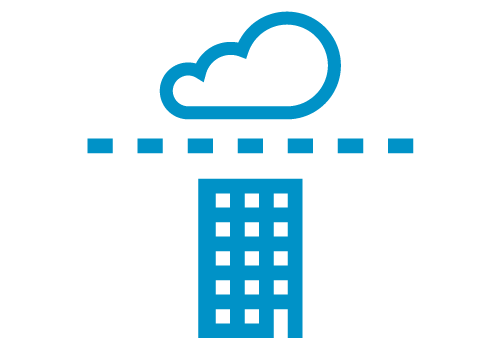 The Training+ App is delivered using Microsoft Azure, the worldwide network of Microsoft-managed datacenters across 22 regions — more countries and regions than Amazon Web Services and Google Cloud combined, which means your training is always streamed directly to you from a local source at the best resolution and quality. This single package gives all of your users the expert training they need to get the most out of your SharePoint deployment. Perfect for users of SharePoint Online (Office 365) and SharePoint 2013 this package also covers the majority of SharePoint 2016. Follow the video on the right or the steps below to get started with Training+ in your Office 365 environment. Please note, you’ll need to be an Azure Tenant Administrator to add this App. Click on the Accept button add the App. Once the page refreshes, open a web browser and log in to Office 365, then open the App Launcher (at the top left of your Office 365 window) and select ‘View all my apps’. Locate the Training+ App Icon, click on the ellipsis (…) to the right and select ‘Pin to app launcher’. You’ll now find the Training+ app icon in your App Launcher. Open the Training+ app to access free content. 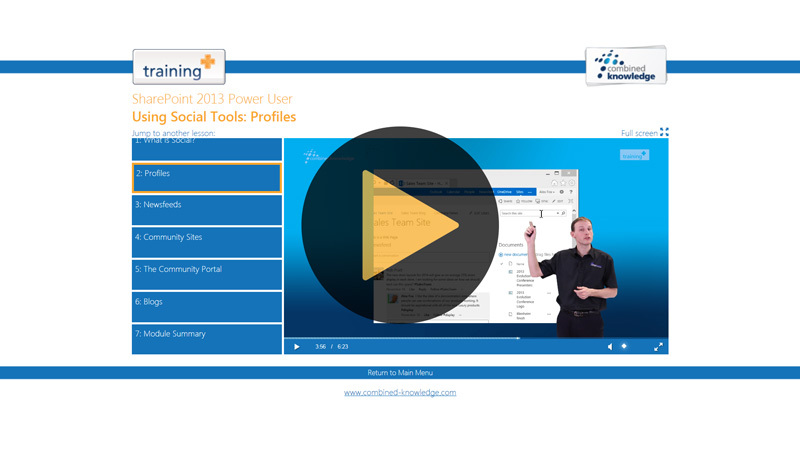 Training+ is part of your overall User Adoption and Education strategy. When it comes to Educating and supporting your users Combined Knowledge offers the full package. End-to-end Solutions are the keystone of our business, encorporating Training, Support and Helpdesk, Consultancy, Training Roadmaps and much more. Find out how we can help you to create awesome users and maximise productivity in your business. Rather not access Training+ through an online app? Host Training+ on your own server and give all of your users direct, secure access. Many customers choose to store the Training+ package on-site. This is a great solution for anyone who doesn't have access to the App Store or for Administrators who would prefer to manage access to each modules or lesson individually using Active Directory. It's also great way to overcome a slow internet connection. Hosting Training+ in the same building as your users can give optimal connectivity to the High Definition quality on offer. We'd love to hear from you so if you have any questions or comments, let us know.